Two main kinds of arthritis are recognized clinically, osteoarthritis and rheumatoid arthritis. In osteoarthritis the joints have bacteria living in the deposits left there. In rheumatoid arthritis the bacteria come from larger parasites — wormlets actually living in these joints. The worms are the common little roundworms whose eggs hatch into microscopic wormlets that travel. We have four common roundworms: Ascaris, hookworm, Strongyloides, Trichinella. Their life cycle normally directs them to travel to the lungs but in some people they travel through the entire body, including brain, muscles and joints. More research is necessary to explain this. My suspicion is that there are toxins, like mercury, thallium, cadmium, lead, as well as solvents, distributed through the body, lowering immunity and allowing the tiny larvae to reside there. Once the pathway (routing) to these organs has been established, it continues to be used by other parasites as well. Soon a variety of parasites, their bacteria and viruses, and pollutants are all headed toward these organs. When joints are painful it is a simple matter to kill the bacteria with an electronic zapper. Treat yourself with a zapper daily until the pain is gone. Maybe it will stay away, but chances are the bacteria have a steady source. The most common source for Staphs and Streps are small abscesses in the jaw bone, under and beside old extractions, root canals and mercury fillings. You may get immediate pain relief just from a dental cleanup, and again disappointment may follow. Staphs and Streps are such ubiquitous bacteria, they may come not only from jaw bone infections but from gallstones, kidney stones and other parasites. The correct treatment for arthritis is a complete overhaul of body health: a diet cleanup, a body cleanup, and environmental cleanup. Start with the herbal parasite program and zapping. Follow this with a kidney cleanse, then liver cleanse. If any toxin is overlooked, especially asbestos and fiberglass, it is sure to find your joints and permit bacteria to return and cause pain. Make sure to correct your body acid levels after doing pH measurements of the urine (p.57). Arthritic deposits contain a large amount of phosphates combined with calcium. This calcium came from some other bone, such as the base of your spine or the wrist. Here the bones are getting weaker due to this calcium loss. Calcium was taken out of your bones for the simple purpose of neutralizing the excess phosphate in your diet. Reduce phosphate consumption (meats, soda pop, grains) by half, eating fish, milk, vegetables and fruit instead. Drink three cups of milk a day. If you are allergic to milk, do several liver cleanses, switch brands of milk, use milk digestant, and use it in cooking and baking. Cheese and cottage cheese are not substitutes for milk (the calcium stayed in the whey). Dairy products must be boiled before consuming and should be no less than 2% butter fat. It takes bile to make calcium absorbable, yet bile with less than 2% butter fat does not trigger the gallbladder to empty it’s bile at mealtime. If you are not used to dairy products, start slowly and work up gradually to the 3 cups a day needed. When inflammation and swelling affect your joints, besides pain, it is called rheumatoid arthritis. In addition, a blood test may reveal “rheumatoid factor” to be present. In this case, the common tiny round worms have invaded you joints. These are Ascaris, Ancylostomas, Strongyloides, and Trichinella. Their eggs are everywhere around us, in dust and dirt and the filth under fingernails and our own bowel movements. Superior sanitation is your first defense. Rinse fingernails in alcohol after cleaning up your bowel movements or changing diapers. Never, never, tolerate long fingernails in any family member. If this discipline can’t be enforced, do not allow food preparation by “long nails” unless gloves are worn. He or she may not be getting ill (yet) from the family parasites, but you are. Of course, you can kill them with a zapper (internally, not the ones under the nails), but that is after you have been infected. They are easily picked up again. It would be wise to zap for roundworms every week, just in case. Make sure your pet is treated with parasite herbs or by zapper as well. A pet that goes outdoors will quickly (the very next day) bring these roundworms into the house again. Give away your pets if possible. Check for dental problems. Do the Dental Clean-up. Then do a kidney cleanse and liver cleanse. You may relieve your pain and begin to heal immediately after zapping but it is wise to do all the health programs, anyway. Change your diet. Reduce phosphate, start using sterilized milk for calcium. Switch to fish from meats. Drink much more water. Use only harmless beverages and foods. Switch to toxin-free body products. Live in a non-toxic house. Stay on a maintenance parasite program of herbs, and zap regularly. Stay on the kidney cleanse for three to six weeks and repeat a one-week session every few months to keep removing deposits which may also choose these sick joints to settle in. Knees are a favorite location for rheumatoid arthritis. Knees are very dependent on kidneys. To summarize, do everything as for osteoarthritis, emphasizing the roundworm parasites for elimination. A prominent food toxin that is said to affect knees is piperine, found in the pepper family which includes black and white pepper (not cayenne). The Solanaceae family of plants (potatoes, tomatoes, eggplant, tobacco!) also has a common “allergen” that produces joint pain. Try going off these for two weeks to see if it helps. Two more chemicals that can trigger arthritis-like pain are hippuric acid and phenylisothiocyanate (PIT). Your body makes large amounts of hippuric acid, up to a gram a day. It is the product of benzoic acid detoxification by the liver. Quite a few fruits contain natural benzoic acid. But we can easily triple and quadruple our benzoic acid intake by consuming commercial beverages and pastries where benzoic acid is used as a preservative. It is indeed a “natural” preservative. All of it must be detoxified, though, and this gives us way too much hippuric acid. The kidneys are unable to excrete such overloads of hippuric acid, so it distributes itself in our organs. I suspect a simple mechanism could explain its pain-triggering action: hippuric acid molecules could attach themselves to our cell’s conductance channels keeping the gates jammed open. This might invite bacteria and viruses to enter there. But there are also hippuric acid-loving bacteria that feed on it. Perhaps hippuric acid can cause pain without the help of bacteria. This requires further study. It is only sensible for persons with chronic pain not to consume benzoic acid (or benzoate) preserved foods. PIT is a food chemical found especially in chicken, eggs, the cabbage family, peas. PIT is also part of the body’s own chemistry, taking place in the liver, and involving detoxification of cyanide-containing foods. Many vegetables, notably the cabbage family, contain such cyanides, giving them protection from insects, disease, and grazing animals. It can take the liver a week to detoxify a meal full of these cyanides: in the meantime, PIT levels are higher in the body. PIT is very reactive. In fact, it is the chemical used as a general reactant with amino acids in the well known Edman degradation reaction. But now, your body is the reaction flask, supplying the amino acids. Since all organs supply amino acids, it is no wonder they can all react to PIT, giving you multiple allergic reactions and pains. If you have any kind of arthritis, stop eating the high-PIT foods and clean the liver until you are free of all allergies you are aware of. This suggests that the liver is capable, again, of detoxifying the cyanides for you in a reasonable time and you may eat them again. These foods do have many benefits, of course. Joint pain, or arthritis, was known in antiquity long before dogs and cats were household pets and giving us their parasites. Pigs and horses harbor these roundworms too and may have been the source at that time. Herbs and treatments that help arthritis are, therefore, plentiful. Maybe they act by killing roundworms, bacteria, and viruses, or help metabolize hippuric acid or PIT. 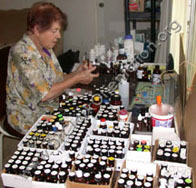 Homeopathic treatments, as well as massage, heat and electronic devices also help. With this wide range of effective treatments dating to the distant past, why are none of them a permanent cure? The answer is simple. The common roundworms are everywhere about us, sanitation is poor, and our civilized lifestyle leads to deposit formation that invites bacteria. But knowing this you can stop your pain and remove the causes to become one of the first humans to achieve a permanent cure. 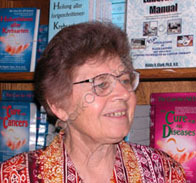 From the book “The Cure for all Diseases” Page 269.